My life has been nothing of the ordinary. However, I have managed to survive and rise above the tragedies. As a high school student in Richmond, California, I was determined to get out of my bad neighborhood. I wanted to embody everything my great grandfather, Poppy, had taught me about the importance of working hard and providing not just for myself but for others. I thankfully found that education was the gateway. With the assistance of Students Rising Above, I earned acceptance into Sonoma State University, where I studied sociology. I quickly learned that college is more than earning good grades. It's your chance to explore, make new friends, grow as a person, and learn transferrable work skills. Attending a big name university doesn't make your college experience great; however, the way you utilize your resources and the connections you make at your chosen school does. I learned this later in my college career; however, if I knew this from the start, things probably would have been different. Many college students miss out on having a good relationship with their professors. We tend to forget that professors are people, too. By visiting office hours, you're simply establishing a relationship with your professor. It doesn't matter if you need help or not, if you found something interesting in lecture and you wanted to learn more about it, visit your professor. If you think you might want a career in that field of study, visit your professor. If something wasn't clear to you, visit your professor. Meeting with your professor shows initiative. You might need a letter of recommendation for an internship or grad school, and they most likely will help you out if they have a relationship with you. If you know you're not a good writer, become one. I have always had too much pride, which ultimately prevented me from utilizing the writing center at times. I remember struggling on a research paper, and I simply couldn't create a good thesis statement. During that struggle, I reached out to the writing center for help. After completing the paper, the staff member took the time to read it, annotate it, and provide me with feedback to make it even better. Not only did I receive excellent assistance, but I also received an A on the assignment. Never be afraid to reach out for help because colleges make these sorts of services available to help you develop your skills. Studying abroad can give you a new perspective not only on an academic level, but also on a worldwide level. You will develop a new sense of independence and who knows, you might pick up another language. Many college graduates I know who have studied abroad told me that it was simply the best time of their lives. Unfortunately, I wasn't able to experience that, so please check it out for me, and enjoy seeing the world from a new perspective. Most colleges have a Career Services Center. I regret not utilizing this resource. At these centers, staff are available to help students improve their resumes and cover letters, and typically will hold mock job interviews. On top of that, staff members are available to assist you with job search tips and help secure important internship opportunities. Hopefully this information has been helpful as you embark or continue on your college journey. While you're in college, explore what you like and what you don't. At times, you might not perform as well as you might have liked; however, just as Poppy instilled in me it's all about how you face adversity. What will you do differently the second time around? Learn from your mistakes and don't be afraid to keep making them. College is a learning experience. Sometimes real life mistakes can you teach you just as well as a professor can. 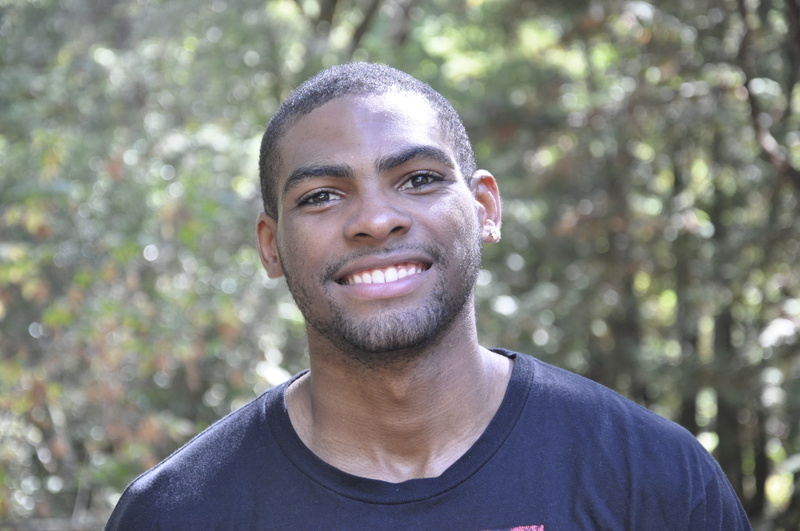 Le'Jon Butcher graduated from Sonoma State University in 2014 with a Bachelor of Science degree in sociology. He is currently a human resources assistant with Webfortis, and a data entry assistant with Students Rising Above, where he is responsible for data entry, donation tracking and student outreach. Read Le'Jon's full story here.